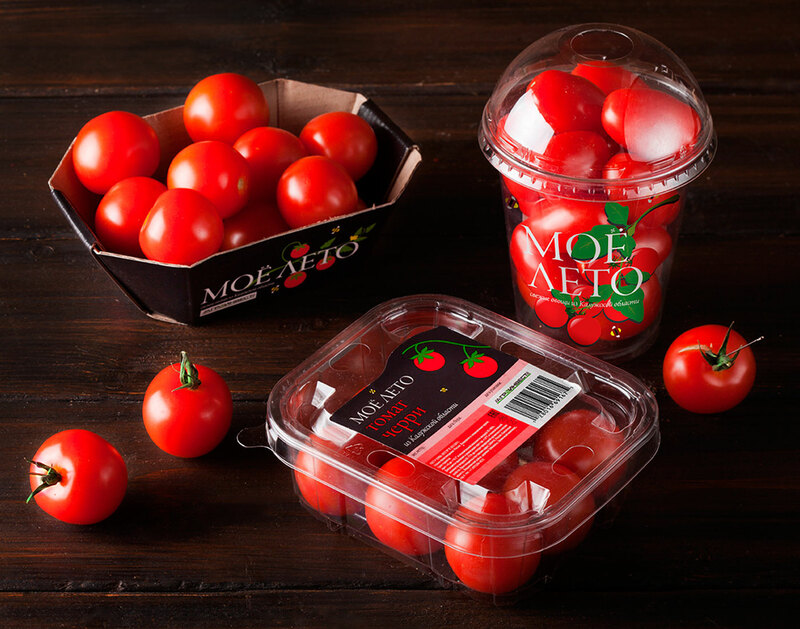 To develope a positioning and packaging for trademark of fresh vegetables “Мoje leto”. 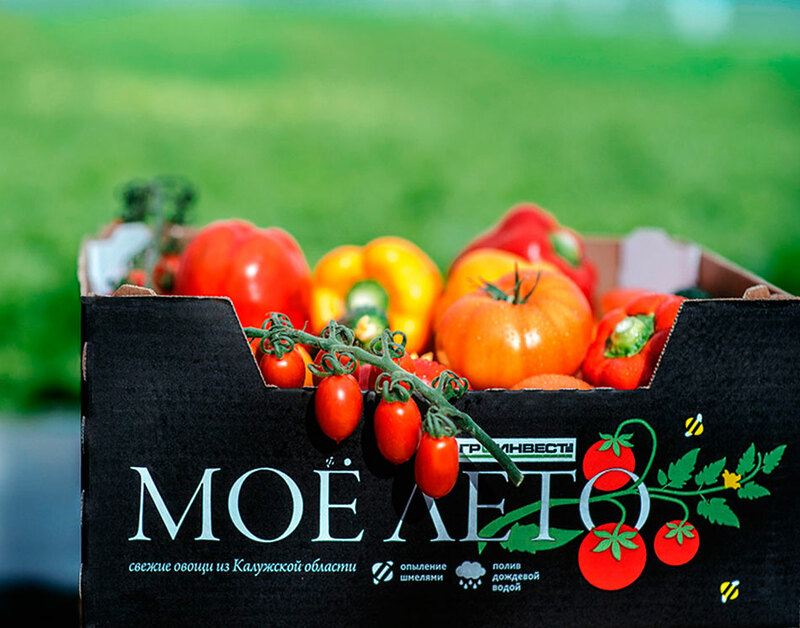 The title “Мoje leto” (means “My Summer”) evokes pleasant associations with seasonal vegetables that have absorbed the warmth of the sunlight. 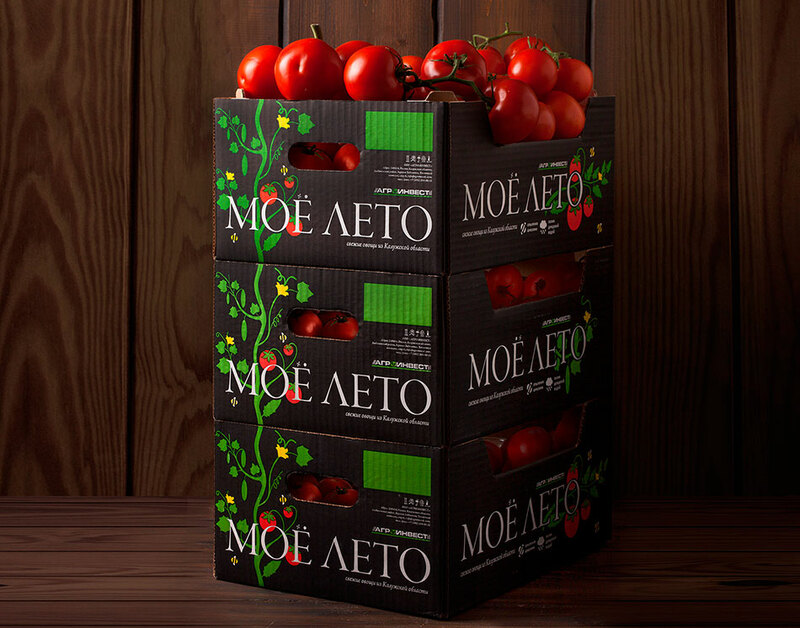 Trendy flat design, purposely devoid of detail, is associated with local production where tomatoes and cucumbers are grown with special care. 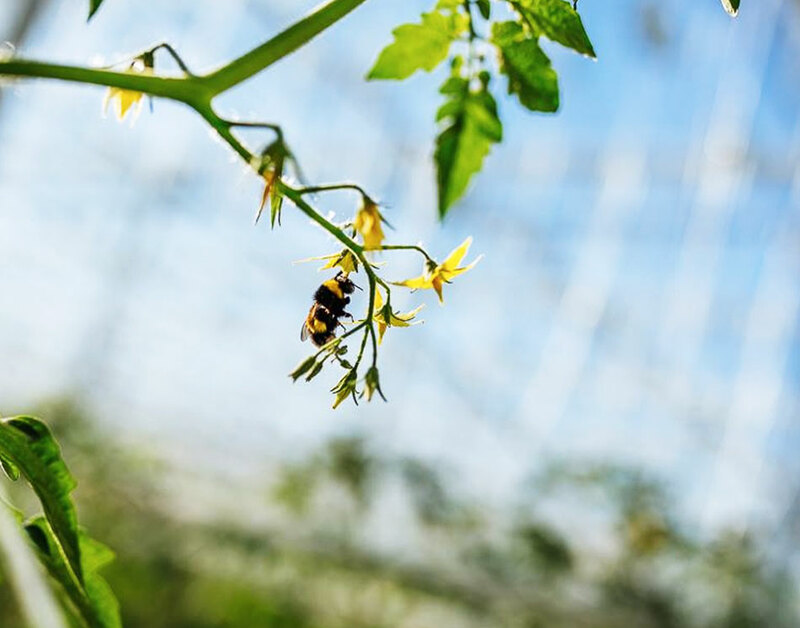 The pictograms on the front part show that harmony of nature and technology plays a special role in the production process – farmers pollinate vegetables with live bees and water them with the use of rainwater. 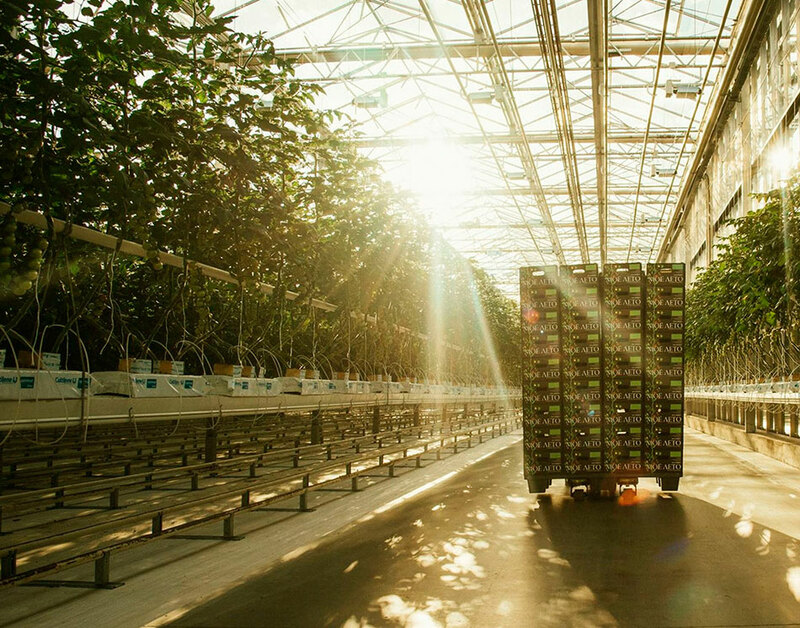 Sprouts on multipacks form an infinitely-long branch that is typical for hydroponic greenhouses. Due to such a trick the brand-zone becomes visible from a big distance and consumers remember it better. 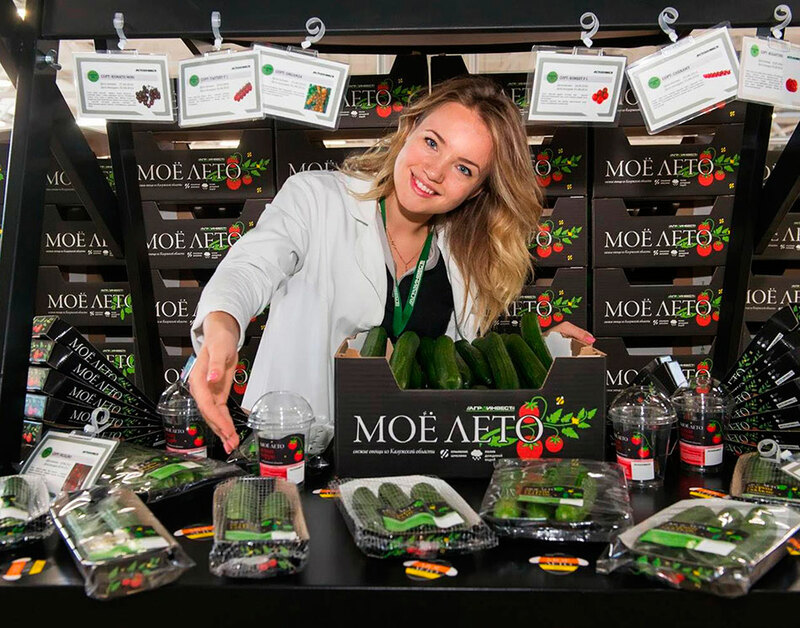 And this is how the General Director of “Agroinvest” Alexey Soshnikov comments the progress made: “Despite the fact that vegetables under the brand “My Summer” appeared on the market a relatively short time ago, we have already gained the confidence of many companies. 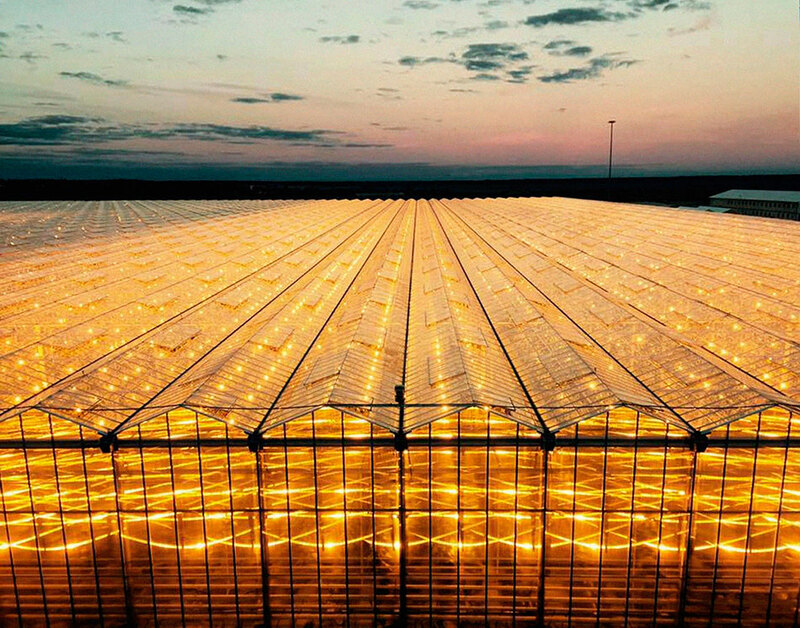 For example, Agroinvest is a reliable supplier of fresh vegetables for well-known trading networks, for example “Azbuka Vkusa”, “Perekrestok”, “Lenta”, “Karusel” and others”. This entry was posted in Ohmybrand | Разработка позиционирования, упаковки, торговой марки, названия, стратегии., package, what, Без рубрики, local, works, market. Bookmark the permalink.